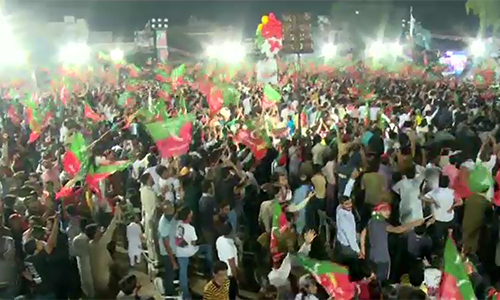 FAISALABAD (92 News) – The Pakistan Tehreek-e-Insaf (PTI) has cancelled today’s meeting in Faisalabad. The district administration and the Election Commission of Pakistan (ECP) had refused to allow the PTI to hold the meeting. However, a spokesman for the PTI said that they had cancelled the meeting over the loss of lives in the earthquake.